On February 4, 2019, David Harper, executive director of Unique Places to Save (hereafter referred to as UP2S), a 501(c)3 not-for-profit organization, appeared before the Ramseur Board of Commissioners seeking a letter of support to supplement a fundraising grant application to the Clean Water Management Trust Fund. Mr. Harper’s remarks were listed on the agenda as ‘dam removal project’. I can’t speak for anyone else in the room that night, but it seemed like a topic out of left field. I did not see that coming. The map above, supplied to Board members, shows a proposed 0.3 acre greenway easement to b donated to the Town, on the east side of the river. It was unclear if that 0.3 acre parcel is the only land meant to be donated to the Town. If that is the case what do these two entities, Watauga and UP2S, intend to do with the rest of the property, a significant portion of which lies between Leonard Park and the west bank of the river? 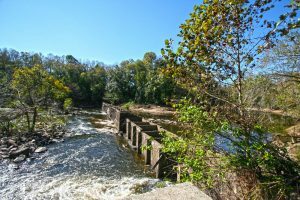 Mr. Harper stated that the Watauga investors acquired the property with the goal of obtaining grants to finance removal of the old dam, but said the grant UP2S is seeking, in partnership with Watauga, is meant to acquire funds for a greenway. A motion to approve the letter of support was made and seconded. During discussion, attorney Wilhoit asked Mr. Harper a question – not clearly captured by the recording equipment – about working with the Army Corps of Engineers, which Mr. Harper answered in the affirmative. Commissioner Caudle then spoke to Mr. Harper, but her comments were also inaudible for the most part. Mr. Harper responded with an assurance to forward a copy of the grant application to the Commissioners. Mayor Shaw asked a question about a right-of-way and its relationship to the center of the old railroad bed. Mr. Harper misunderstood the Mayor’s question to be about the center of the river, and the Mayor clarified. 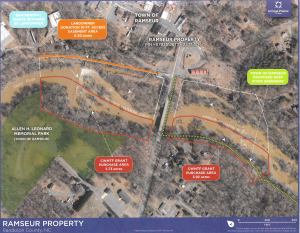 Mayor Shaw then began discussing properties the Town has acquired for the Deep River Rail Trail, pointing out that the Town has a 20′ wide easement along the trail. The UP2S donation would add an additional 10′ to the trail easement. Mr. Harper stated that the green dotted line on the map represents a section of proposed trail that would “potentially be part of the transfer,” which seemed to imply that more land will eventually be transferred to the Town. Again, these remarks were partially inaudible because the speaker did not use the microphone and lectern as directed. UP2S doesn’t anticipate having a decision on the grant award until September of this year or later. The question was called and the Board of Commissioners voted 5-0 to provide Mr. Harper and UP2S with the requested letter of support and Mr. Harper left the building. I have many questions about this, not the least being why do we need to remove the dam in the first place? There are many arguments both for and against dam removal, as well as many externalities to consider. Assuming the dam is a century old, there are a hundred years worth of sediments collected behind it. Before the Environmental Protection Agency was established in the 1970s, most rivers in the U.S. were polluted with all manner of toxic industrial wastes, raw sewage and agricultural runoff; Deep River was no exception. Deep River originates from headwaters near Kernersville, north of Oak Hollow Lake in High Point, with many feeder streams along its course. The sediments behind this and many other dams along its path are likely full of heavy metals, PCBs, and other industrial wastes that flowed into the river for decades before environmental regulations ended such practices. Industrial wastes in riverbeds are much like asbestos shingles on an old house. As long as you don’t disturb them they remain relatively harmless where they are. The area behind the Ramseur dam is a currently a calm body of water used by kayakers and canoeists. I’m told that many years ago boats would be launched from a ramp near where the Franklinville and Ramseur sections of the Deep River Rail Trail meet today, and people would water ski on that section of the river behind the dam. What will the river look like after the dam is removed? Will it still be navigable by kayaks and other similar craft? How will the sediments be removed or remediated after the water level drops? Who will be responsible for the costs involved in any remediation needed? While doing research for this article I stumbled upon this webpage, produced and hosted by Unique Properties, LLC. The name and the website design looked eerily similar to UP2S’s website. Upon closer examination I discovered that the organizations have at least two board members in common, and there appears to be a familial relationship between a member of one board and the chief executive of Watauga. Nothing at all wrong with that – such relationships are common in the business world. In fact, from a purely business standpoint it’s genus level stuff. I almost wish I had some money to invest. The property in question was purchased by Watauga in December of 2018. When I bought my home in Ramseur the details of that transaction, including the price I paid, were posted to the Randolph County GIS website within about thirty days. As of this writing neither the GIS site nor the Randolph County Register of Deeds website lists the price that was paid for this piece of land. Watauga is listed as the owner of the property on the parcel details of the GIS site, but if you look at the property summary there, Dean Brooks, the previous owner, is still listed. Why is that? Is it simply a clerical error, a backlog, or were some details intentionally being kept from the prying eyes of taxpayers? I want to believe the answer is one of the former possibilities. Investors don’t typically buy land just so they can give it away, and the folks behind Watauga are most definitely in the business of making money. When was this project – removal of the dam across Deep River – first proposed, and by whom? When was it brought to the attention of our Commissioners and the Mayor? 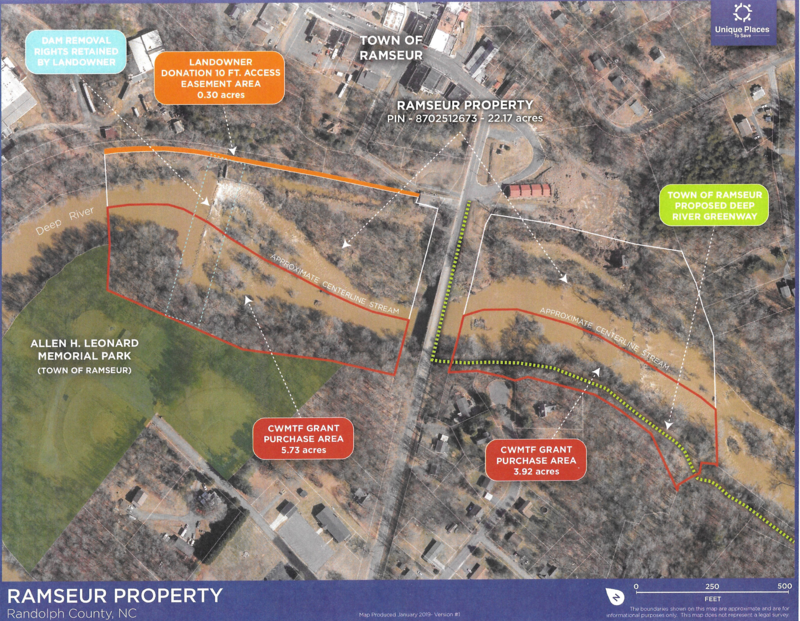 How much of that roughly 22 acre parcel will be donated back to the Town of Ramseur, and if so, when and under what terms? These are just a few of the questions I feel should have been asked and answered definitively before our elected/appointed officials signed up to support this undertaking. As of this writing I lean toward favoring this project, based on information I have been able to gather. There are many potential positive outcomes to this, but there are also potential negatives, especially if the rest of the process is not carried out in a transparent manner. The citizens of this town will have to live with whatever results from this undertaking long after the investors, consultants, and contractors have taken their profits back to the places where they live. I suspect this is not the last we’ll hear of this subject over the coming months and years, and I welcome any additional information Watauga Unique Properties, LLC, Unique Properties, LLC, and Unique Properties To Save wish to contribute to the conversation. 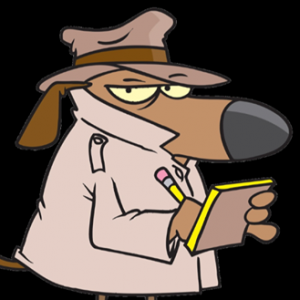 The Watchdog can always be reached at RamseurWatchdog@yahoo.com. Previous PostPrevious When Did the Board of Commissioners Vote to Approve a Trademark Application?